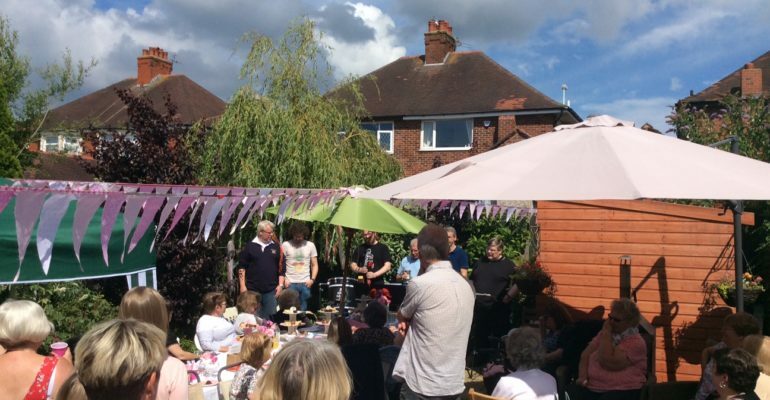 It was a lovely day for a garden party despite the local weather report for Saturday 22nd of July. 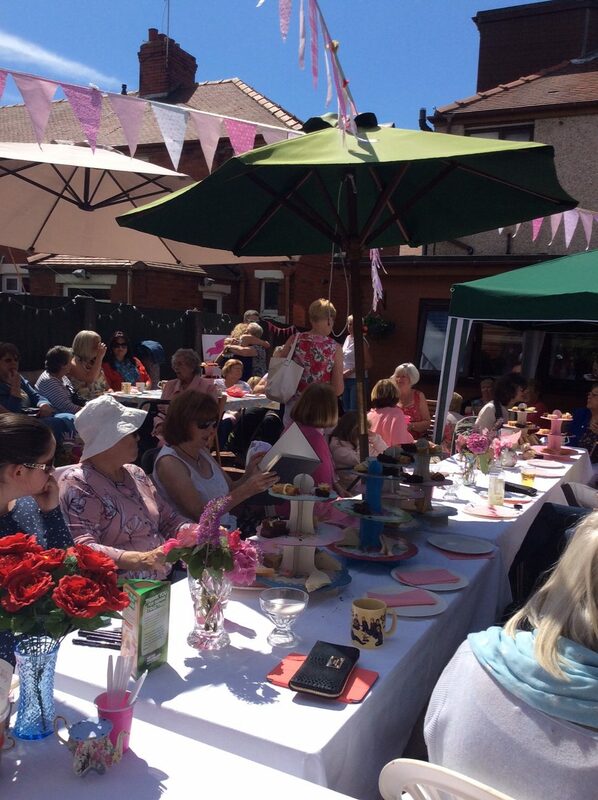 Blackpool Soundwaves were going to be singing at one of their own members’ garden parties for a Macmillan “Hint of Pink ” event with a twist. Mrs Debbie Morris was raising funds for a Faxitron machine. A Faxitron machine is a portable x-ray system used to image tissue specimens from biopsies taken from women with suspected breast cancer. Lots of local businesses contributed with food and drink. Vouchers were donated for Hair and Beauty by some of Blackpool most popular salons. So far a total of £1,207 has been raised but this amount is ever increasing as donations still flood in. We were also joined by Lytham St Anne’s “Shanty Crew ” and both groups entertained the masses of 97 people who attended this worthwhile cause. Debbie’s friends and neighbors enjoyed this event which was the second planned event of this kind in two years . 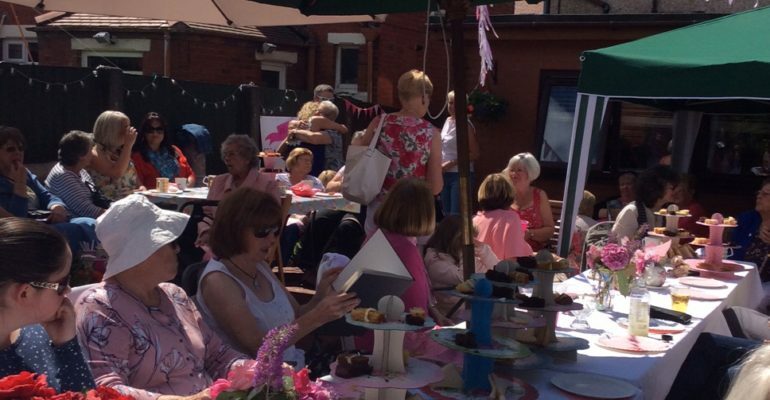 Debbie was quick to tell us “next year the hint of pink event will be bigger and even better” – but how we will top this year you will have to wait and see!